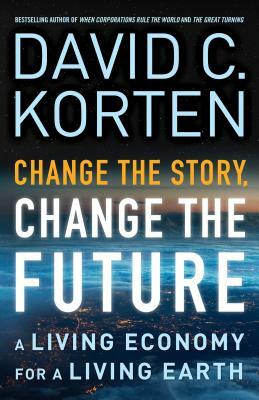 To guide our path to a viable human future, Korten offers a Sacred Life and Living Earth story grounded in a cosmology that affirms we are living beings born of a living Earth itself born of a living universe. Our health and well-being depend on an economy that works in partnership with the processes by which Earth’s community of life maintains the conditions of its own existence—and ours. Offering a hopeful vision, Korten lays out the transformative impact adopting this story will have on every aspect of human life and society. David C. Korten is cofounder and board chair of YES! Magazine, cochair of the New Economy Working Group, president of the Living Economies Forum, a member of the Club of Rome, a former Harvard Business School professor, and author of the international bestsellers When Corporations Rule the World and The Great Turning.